Latest research deflates the idea that the Universe cycles for eternity. 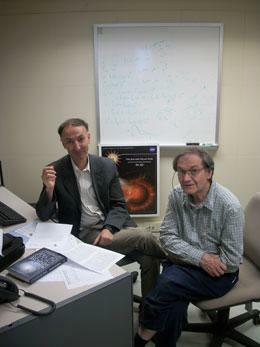 Gurzadyan, V. G. and Penrose, R. Preprint at http://arxiv.org/abs/1011.3706 (2010). Wehus, I. K. and Eriksen, H. K. Preprint at http://arxiv.org/abs/1012.1268 (2010). Moss, A., Scott, D. and Zibin, J. P. Preprint at http://arxiv.org/abs/1012.1305 (2010). Hajian, A. Preprint at http://arxiv.org/abs/1012.1656 (2010). Gurzadyan, V. and Penrose, R Preprint at http://arxiv.org/abs/1012.1486 (2010).